No one can tell you when, where and how you will get cheated. 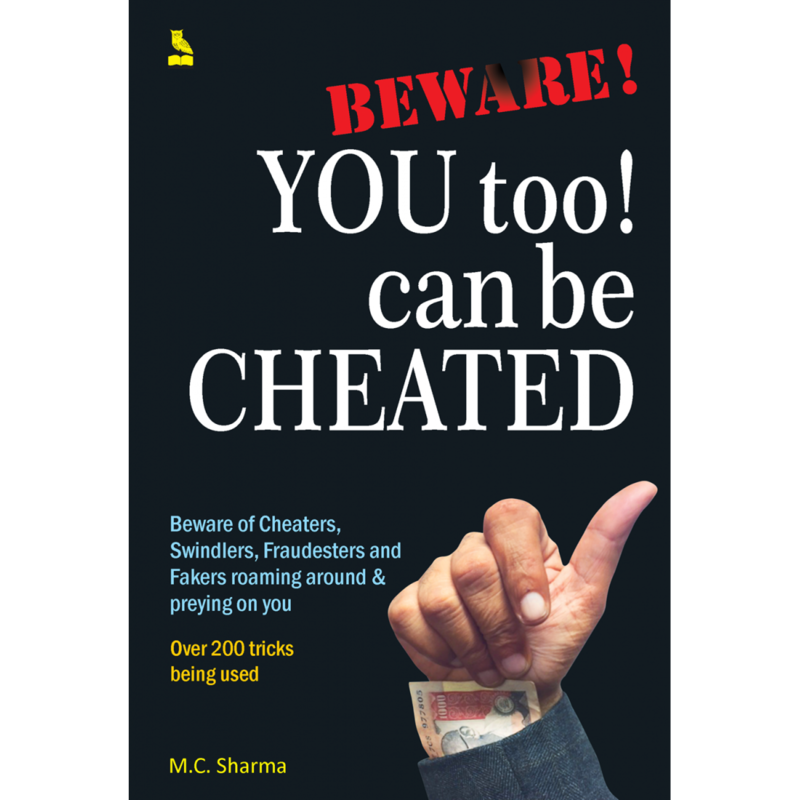 In this book, we have collected a large number of instances and methods of cheating by which people have been cheated in the past. You need to be alert and on your guard against the fraudsters who might be watching you from anywhere. They operate not just as individual or small groups but sometimes as an organisation. Knowing them, you get armed to keep yourself cautious, vigilant and well protected. You need to develop a high judicious sense to decide by yourself whom to trust. There are numerous cases when people are duped by bogus Godmen or babas, who, on the contrary, ought to be the most virtuous people. Whether you are seeking for a job, loan, property, or admission to a college, you need to be careful. Cyber frauds are becoming more and more common these days and hence the need of the day is the discreet use of internet. Whether it is cash, cheque or card, the swindlers have hundred ways to outsmart you and rob you of your hard-earned money. The book lists some basic do's and don'ts which if followed strictly can keep you safe in every circumstance. M.C. Sharma was born in 1931 at Ajmer, the holy city of Rajasthan. He passed his M.Sc. (Physics) from Agra University in 1953 in first division and in 1955 he joined the service of government of India. After working in many significant position, he retired in 1986 when he was working as the Deputy Director in government of India. M.C. Sharma has written several small and medium sized books on the practical aspects of electronics and computers for the benefit of technicians and engineers working in the field of electronics and computers. All of them were published by a prominent publisher of the line. The present book is written by him to help innocent and unsuspecting citizens so that they can keep themselves protected from losses and sufferings at the hands of cheats and cons. By now his books on electronics hobby have been sold in lakhs not only in India but several other countries. Mr. Sharma's hobby is collecting quotes and jokes. His collection comprises of thousands of them.